American Income Life Insurance Company (AIL) was built on the premise that social justice and activism should remain key components of the business. When you get down to it, life insurance is like a nice leather jacket. You have to find one that’s a perfect fit for you. There are different types of quality, and they seem to come in every size and shape under the sun. But once you find the right fit, you get an overwhelming sense of comfort. Unlike leather jackets though, life insurance can potentially stay with you for the rest of your life. That being said, not all people need the maximum amount of coverage. If you’re single with no dependents, you won’t need as much life insurance as a person who supports a large family. People with families have more expenses to worry about such as mortgage protection or college expenses for their children. As you can see, life insurance needs aren’t static; they change depending on your circumstances. Term life insurance provides coverage for a limited period of time. Term life periods of insurability usually range from five to 30 years. Because of this, term life insurance is usually less expensive than whole life. Premiums can increase due to changes in health, age, or other criteria. Whole life insurance provides coverage for your entire life and can also build cash and loan value with premium payments. Whole life has lifelong guaranteed premiums and includes death benefit and cash value. Universal life is identical to whole life policies, but has greater flexibility in premium payments, guaranteed death benefit, and cash value accumulation. Variable universal life, often called adjustable life, allows you to invest the cash value part of your life insurance into stocks, bonds, or other programs which may increase your cash value. However, if the investments don’t do well, your cash value could diminish. American Income Life has additional life insurance products and services that you may be interested in. 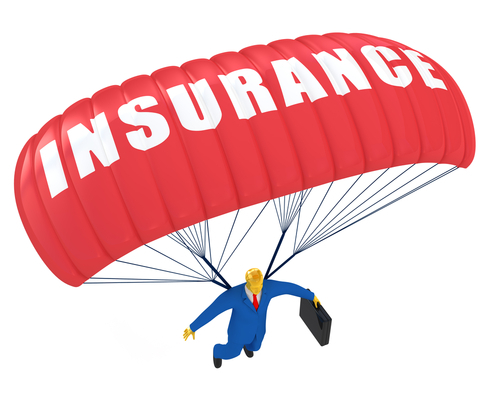 When you think of life insurance, make sure you research the companies you plan to deal with. Look for financial strength ratings to make sure the company is stable and can pay claims. American Income Life has earned the A+ (Superior) Financial Strength Rating from A.M. Best Company (as of 6/11). To learn more about life insurance, visit American Income Life. Our Representatives would be happy to talk with you about the products and services we offer. American Income Life – Do It Now! American Income Life – Are You at Risk? American Income Life – Choose Life Anytime!